DARPA wants to be able to launch anywhere, any time and several times in a row. Is that too much to ask? Not for Vector Space, Virgin Orbit and an unnamed startup that just qualified to participate in the agency’s Launch Challenge, which will push their responsive and mobile launch capabilities to the limit. In the challenge, the teams will be notified that they need to launch a payload to orbit from a given location only days beforehand. After doing so, they will then be told a second location from which they must launch again just days later. The winning team will receive up to $12 million, with $11 million and $10 million available to the runners-up, depending on how they perform. Vector Space recently raised $70 million to pursue the first orbital launch of its Vector-R rocket and get manufacturing started at its Tucson facility. Its goal is to provide short-turnaround micro-launch services at a cadence measured in weeks. Virgin Orbit — technically VOX Space — has a 747-based first stage that takes the two-stage rocket up to launch altitude, an assisted-launch strategy that has worked well for small payloads in the past. It may also be a uniquely good fit for this particular challenge, given that mobility of the rocket and payload are inherent to the aircraft first-stage style. Each company received $400,000 for qualifying and making sure they’re legal (each needs FAA permission, among other things). The launches will take place sometime in 2020; a prize of $2 million is available to each team that gets the first payload into the air, then $10 million, $9 million and $8 million prizes are available for completing the second task. They’ll be judged on a variety of metrics. All told, that’s somewhere around $34,000,000 up for grabs. Of course, it will probably cost more than that to accomplish what DARPA asks. But that’s kind of how these competitions work. We’ll know more when DARPA gives us more. 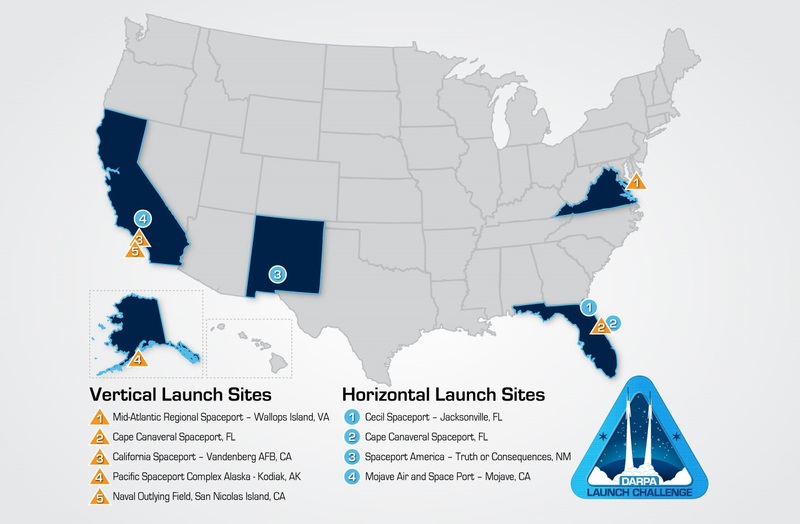 Obviously we won’t know the dates of the launch until they are announced, but it’ll be some time before that happens (these companies need to finish their launch vehicles) so you can relax for now. Unless you work at one of the participating teams, in which case, get cracking.